I’ve always had a thing for roasted red pepper hummus but it wasn’t until I tried roasted red pepper hummus with sriracha sauce at South Beach’s “A Fish Called Avalon” that I really got hooked. The dip was served along with the bread basket as an alternative to butter and after the second time I asked our waiter if he would be kind enough to bring yet another little bowl of hummus to our table I just had to ask how the hummus was made. There was a special something-something ingredient that I just couldn’t put my finger on. 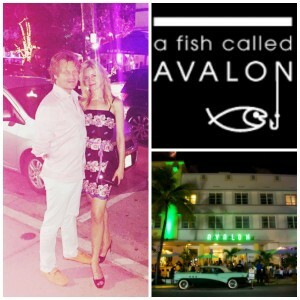 Date Night Dinner on Ocean Drive at “A Fish Called Avalon”, a South Beach Tradition and home to the Roasted Red Pepper with Sriracha Sauce Dip! Our waiter immediately rattled off every ingredient in the house made roasted red pepper hummus recipe. Clearly it was not the first time he had been asked that question. 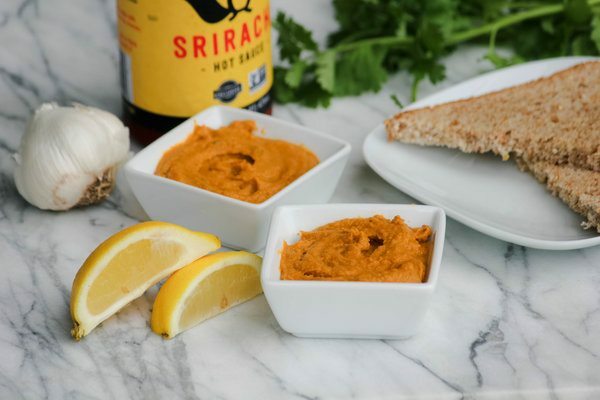 For the most part the ingredients were pretty straightforward for a standard roasted red pepper hummus: garbanzo beans, lemon juice, roasted red peppers, olive oil, parsley, garlic, salt and…..sriracha sauce!! Our waiter did not disclose the exact ratio of ingredients, but he told me just enough so that I could return home to make my very own out of this world roasted red pepper hummus. 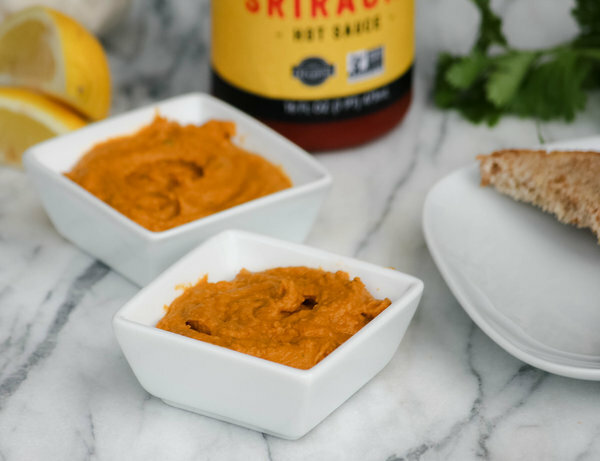 Although it has been around for decades, Sriracha sauce is only just now having its well-deserved moment in the culinary spotlight. Often served as a condiment in Thai, Vietnamese and Chinese restaurants, Sriracha sauce is a bright red, multi-purpose hot sauce made with red chili peppers. 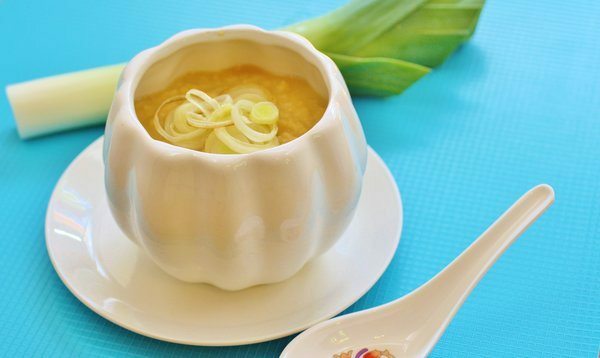 It contributes heat, tang and just a wee bitty hit of sweet and savory to whatever you add it to. And it works wonders for lighting up what might otherwise be rather bland, in this case roasted red pepper hummus. Ever since our dinner at “A Fish Called Avalon”, I have become a serious Sriracha devotee, so much so that I have even made my own! I got the homemade Sriracha sauce recipe from the Steamy Kitchen and hands down it is the best Sriracha sauce you will ever try. However, for the roasted red pepper hummus recipe I just didn’t have time to make my own Sriracha sauce, so I used Ninja Squirrel, a non-GMO certified brand that’s really, really good. Although Ninja Squirrel is supposedly only sold exclusively at Whole Foods Market, apparently you can also buy it from Amazon too. And trust me, once you try Sriracha Sauce you will find yourself adding it to one dish after the other! Place ingredients in a high speed blender (such as a Vitamix) or food processor and process until smooth and creamy. For the roasted red peppers you could always use fresh red peppers and roast and peel them yourself, but it is much easier to just buy roasted red peppers in a jar, especially because you really can’t tell the difference. For this recipe, I use about 1/2 of an 8 ounce jar of roasted red peppers and then I just be sure to pat them as dry as possible with paper towels before incorporating into the recipe. What Makes Edamame Hummus Recipe a Healthier Hummus?